When you certify your pre-owned Toyota, you get prompt, 24-hour access to one of our approved Roadside Assistance providers — anywhere in Canada and the U.S., anytime you need it. Dial and Call 1-888-TOYOTA-8 (1-888-869-6828). More Retained Value Awards Than Any Other Brand! 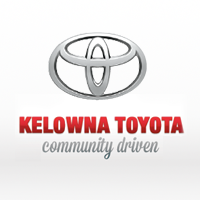 See Our Selection of Toyota Certified Used Vehicles Today! This sporty 2016 Toyota Corolla S has less than 50,000 km's on the odometer, it looks great in Black and it comes equipped with Leather Upholstery, Air Conditioning, Power Windows and Locks, Heated Seats, Cruise Control and an AM/FM/CD/Sat Radio Audio System with Bluetooth and a Backup Camera. This popular sedan rides on 16 Inch Wheels and power comes from a fuel efficient 1.8 Litre 4 Cylinder Engine mated to an Automatic Transmission and Front Wheel Drive. Don't wait, call today to book your test drive or stop by for a look, we're located on Leathead Road in Kelowna. Looking for a sporty compact sedan? This 2016 Toyota Corolla S shows well and features Air Conditioning, Leather Upholstery, Sport Seats, Paddle Shifters, a Power Driver Seat, Power Windows and Locks, Cruise Control, a Leather Wrapped Wheel with Tilt Steering and an AM/FM/CD Display Audio System with Bluetooth and a Backup Camera. This sharp looking Corolla rides on 17 Inch Alloy Wheels with Low Profile Tires and power comes from a 1.6 Litre 4 Cylinder Engine mated to an Automatic Transmission and Front Wheel Drive. Don't miss out, call today to book your test drive or stop by for a look, we're located on Leathead Road in Kelowna. This fuel efficient, low kilometre 2014 Toyota Camry Hybrid XLE is in top condition an comes equipped with Leather Upholstery, Dual Zone Climate Control A/C, Power Windows and Locks, Cruise Control, a Leather Wrapped Wheel with Tilt Steering, a Power Moonroof and a great sounding JBL AM/FM/CD Display Audio System with Bluetooth, Navigation and a Backup Camera. This luxury Hybrid rides on 17 Inch Alloy Wheels and power come from a 2.5 Litre Gas/Electric Synergy Drive System mated to an Automatic Transmission and Front Wheel Drive. This All Wheel Drive 2013 Toyota Sienna LE shows like new inside and out and comes equipped with Air Conditioning, Power Windows and Locks, Cruise Control, Tilt Steering, Second Row Capitan Chair Seating and an AM/FM/CD/Sat Radio Audio System with Bluetooth and an In Dash Backup Camera. This well cared for van looks great in white with 18 Inch Alloy Wheels and Black Trim. Power comes from a 3.5 Litre V6 mated to an Automatic Transmission. Don't wait on this one, call today to book your test drive or stop by for a look, we're located on Leathead Road in Kelowna. Don't wait on this one, this clean, low kilometre 2014 Toyota Tundra TRD Off Road shows like new inside and out and features, Air Conditioning, Power Windows and Locks, Cruise Control, a Power Drivers Seat, Tilt Steering and an AM/FM/CD Display Audio System with Bluetooth and a Backup Camera. This full size 4x4 rides on 18 Inch Alloy Wheels and comes with a Bed Liner and Tow Package. Power comes from a 4.6 Litre V6 mated to an Automatic Transmission. Call today and book your test drive or stop by for a look, we're located on Leathead Road in Kelowna. Beat the high price of fuel in this All Wheel Drive, 2016 Toyota RAV4 Hybrid XLE it shows like new and comes equipped with Climate Control Air Conditioning, Power Windows and Locks, Heated Seats, Cruise Control, Push Button Start, a Leather Wrapped Wheel with Tilt Steering, a Power Moonroof and an AM/FM/CD Display Audio System with Bluetooth, an Energy Monitor and a Backup Camera. This upscale SUV looks sharp in white with Silver Roof Rails and 17 Inch Alloy Wheels. Power comes from a 2.5LItre 4 Cylinder Gas/Electric Synergy Drivetrain mated to an Automatic Transmission. Don't wait on this one, RAV's this nice are in high demand. Call today to book your test drive or stop by for a look, we're located on Leathead Road in Kelowna. Act fast if you want to drive this beautiful, low kilometre 2016 Toyota Tacoma 4X4 home. The truck is in top condition and comes equipped with Air Conditioning, Power Windows and Locks, Cruise Control, Tilt Steering and an AM/FMCD Display Audio System with Bluetooth and a Backup Camera. This sharp looking pickup rides on 16 Inch Alloy Wheels and comes with a composite bed and tow package. Call today to book your test drive or stop by for a look, we're at 1200 Leathead Road in Kelowna. Act fast if you want to drive this beautiful 2016 Toyota Tacoma TRD Sport home, it has just over 50,000 kms on it and it shows like new! It comes equipped with Air Conditioning, Power Windows and Locks, Cruise Control, Push Button Start, Heated Sport Seats, a Leather Wrapped Wheel with Tilt Steering and a Kenwood Audio System with a Custom Woofer, Bluetooth and a Backup Camera. This awesome 4x4 comes with Running Boards, Fog Lights and 16 Inch Alloy Wheels and it's powered by a 3.5 Litre V6 mated to an Automatic Transmission. Don't wait on this one, Tacoma's this nice are in high demand, call today to book your test drive or stop by for a look, we're located on Leathead Road in Kelowna.